They might look like toothbrushes, or, perhaps, a loofah. Here’s Allure take on the new brushes. 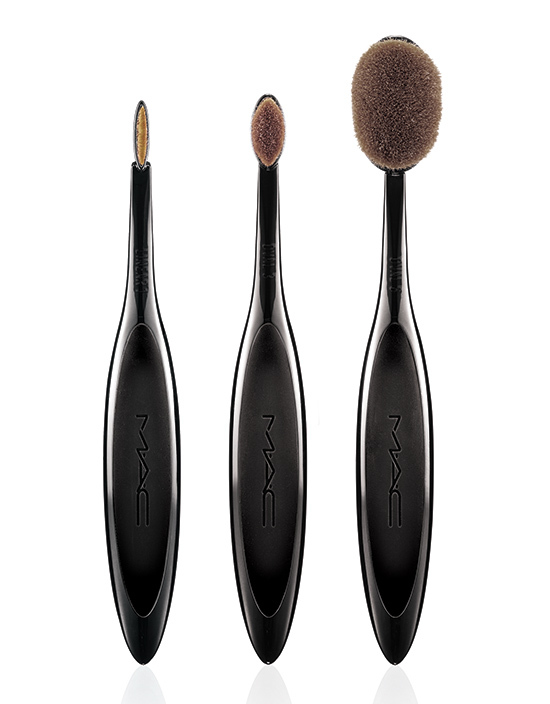 MAC Masterclass Brush Collection Available Today | Musings of a Muse. French = Pretty Awesome, n’est-ce pas? What’s Your Magic Brush Number? 2 comments on Is it a toothbrush? Is it a loofah? No, it’s the newest thing in makeup brushes! I am SOOO excited to try these! Gonna have to pick them up whilst I’m in the States! I wish MAC would post some videos so we could see how they are to be used! I checked out their YouTube channel and couldn’t find anything! For some reason, when I look at these brushes, I also wonder if they have other benefits, too … Just like, say, a loofah would. They almost look like they would stimulate the skin or aid in exfoliation or something? !